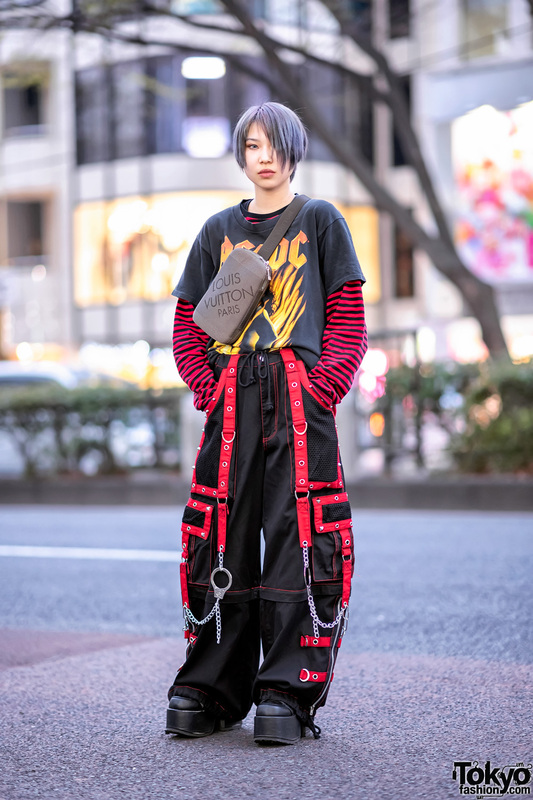 Taira is a 16-year-old student whose statement-making street style easily caught our eye on the Harajuku street one afternoon. Taira is decked out in a khaki Valentino patterned blazer, which he wore on top of a black structured mesh coat and a white t-shirt. 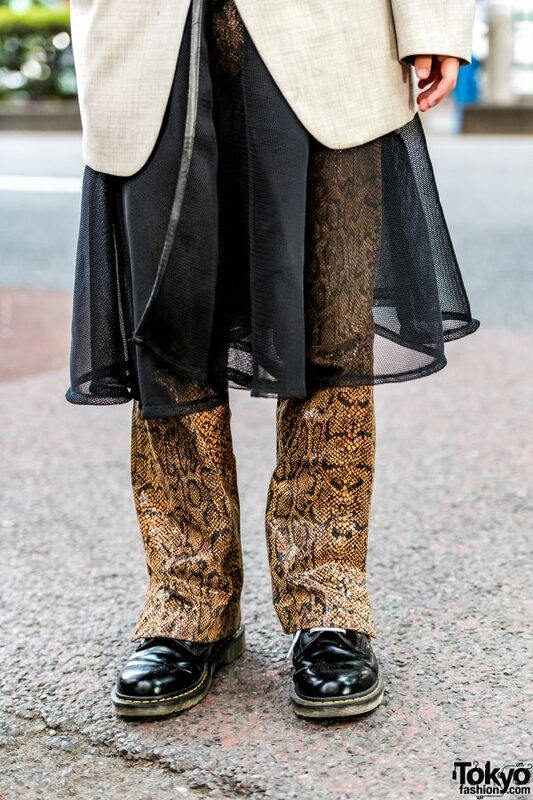 He styled his layered tops with brown snakeskin pants, and a pair of Dr. Martens boots with white laces. 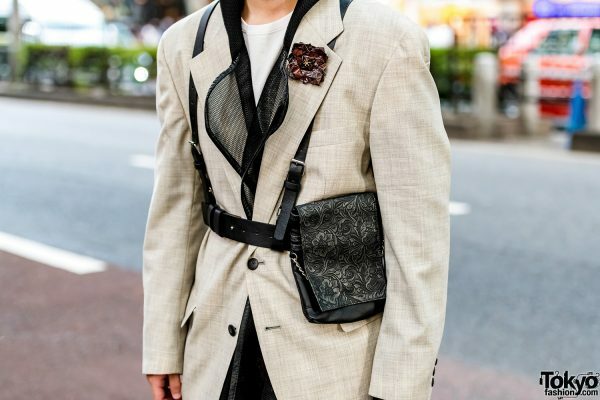 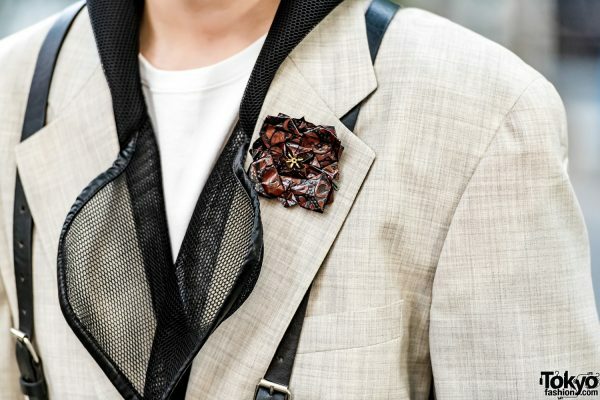 To finish off his look, Taira donned a black leather body harness with a floral print waist bag attached to the harness, and placed a brown floral boutonniere on his blazer lapel. 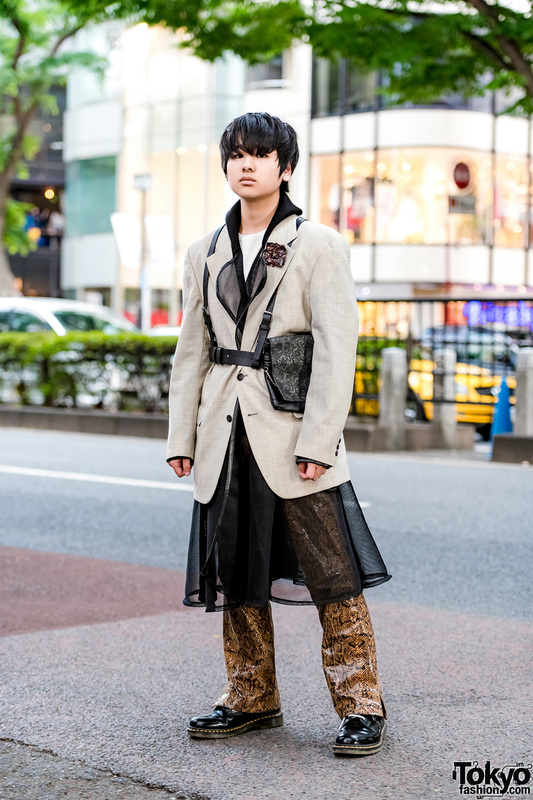 Dr. Martens is Taira’s favorite fashion brand, and he likes the music of Yui. 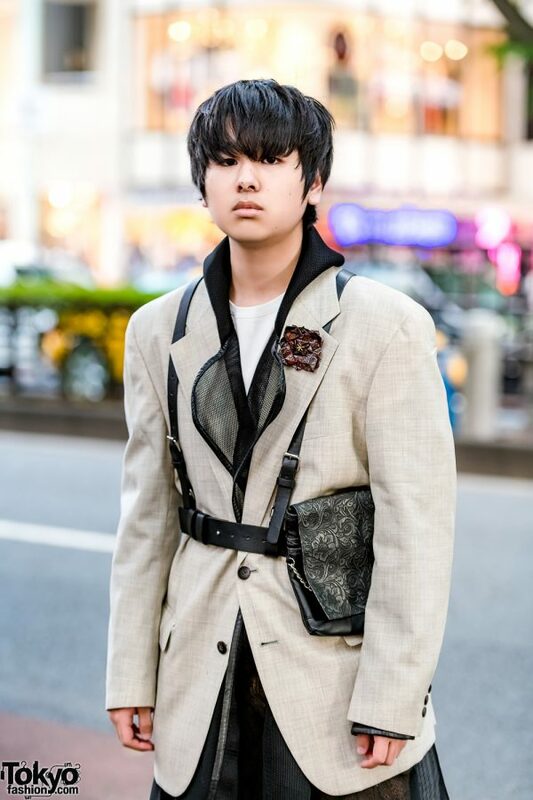 For more on Taira, follow him on Instagram.